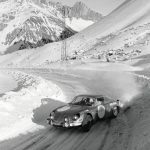 Renault chose the Col de Turini, a mountainous, switchback-filled stage of the famed Monte Carlo Rally, as the location to unveil the Alpine Vision concept car. 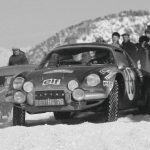 Renault chose the Col de Turini, a mountainous, switchback-filled stage of the famed Monte Carlo Rally, as the location to unveil the Alpine Vision concept car and to announce plans for series production to begin later this year on the sports car. 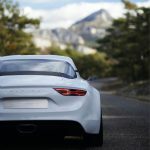 “Motorsports and sports cars are deeply rooted in the DNA of Groupe Renault,” Carlos Ghosn, Groupe Renault chairman and chief executive, said at the unveiling. “Earlier this month we announced our return to Formula One with a Renault team and today we are announcing Alpine. 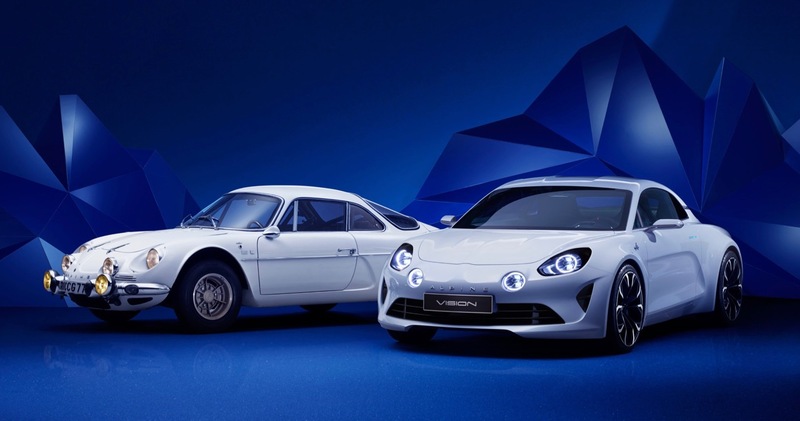 The Alpine Vision concept was inspired by the Alpine A110 Berlinette, which was introduced in 1963 and was highly successful in rallying. 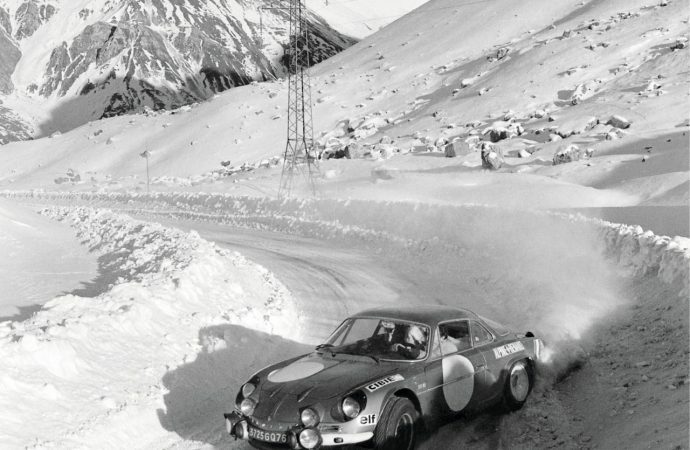 Jean Redele, an engineer, rally racer and France’s youngest Renault dealer, founded Alpine (pronounced al-PEEN) in 1955. 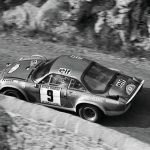 He had competed in the Monte Carlo Rally and the Mille Miglia in a Renault 4CV sedan he had modified. 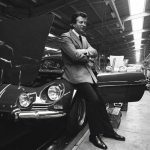 His first product after entering a formal relationship which Renault was the Alpine A106 “Mille Miles,” which was built on the 4CV platform but included a five-speed transmission and a fiberglass body designed by Giovanni Michelotti. 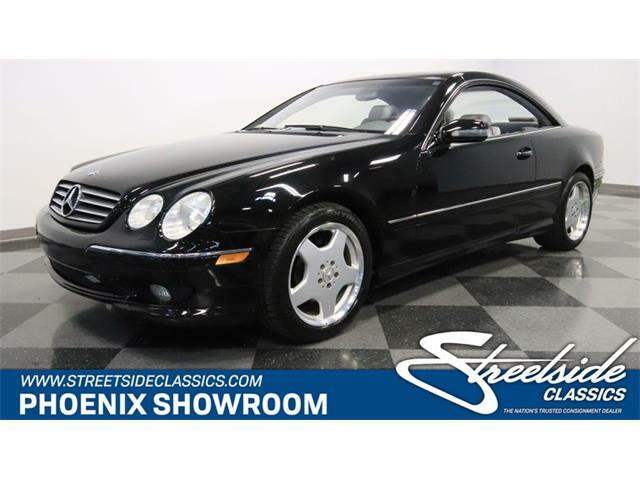 A steel-bodied A107 went into production two years later, as did the A108 cabriolet. 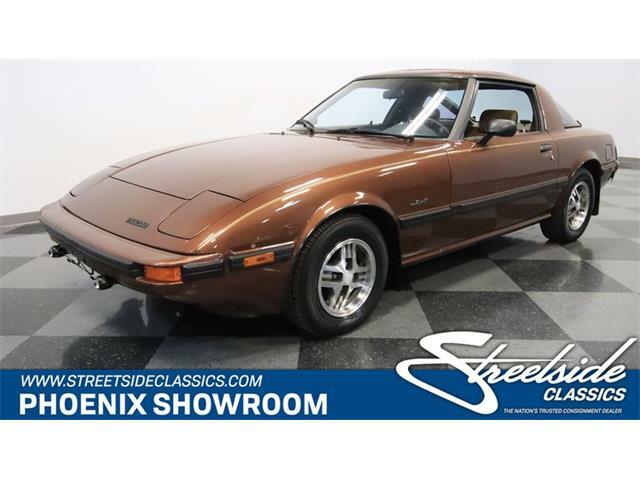 In 1984 Alpine launched its GTA model, a fiberglass-bodied 2+2 created in large part for the American market. 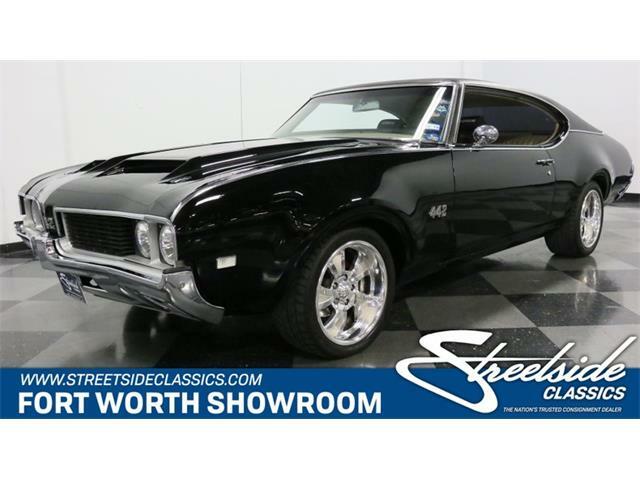 But when Chrysler bought Renault’s interest in American Motors, it decided the GTA would be too strong a rival for a Maserati model it was planning. 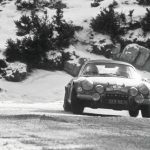 As the Beaulieu Encyclopedia of the Automobile notes, Chrysler’s decision “changed the history” of the Alpine marque, which was discontinued by Renault after the 1995 model year. 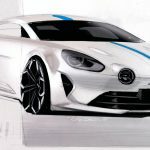 But Renault returned the Alpine name to racing in recent years and the Signatech-Alpine Racing Team has won European endurance racing championships for the last two years and will enter a pair of LMP2 cars at Le Mans this summer. 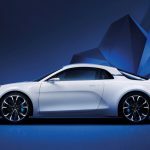 And now the French automaker has unveiled the Alpine Vision sports car concept, which was designed to be light enough that its new four-cylinder turbocharged engine can take it from a standing start to 100 km/h (62 mph) in less than 4.5 seconds, Renault’s news release said. 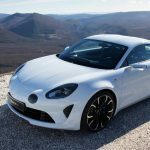 “All of us at Alpine are proud to have been entrusted with the task of bringing back Alpine to sports car lovers around the world,” said Michael van der Sande, managing director of the Alpine arm of Renault. 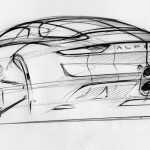 Plans call for the production car to be unveiled later this year with sales beginning in 2017 in Europe and then in other worldwide markets. Antony Villain, who has been with Renault since 1998, has been appointed the chief designer for the Alpine project.